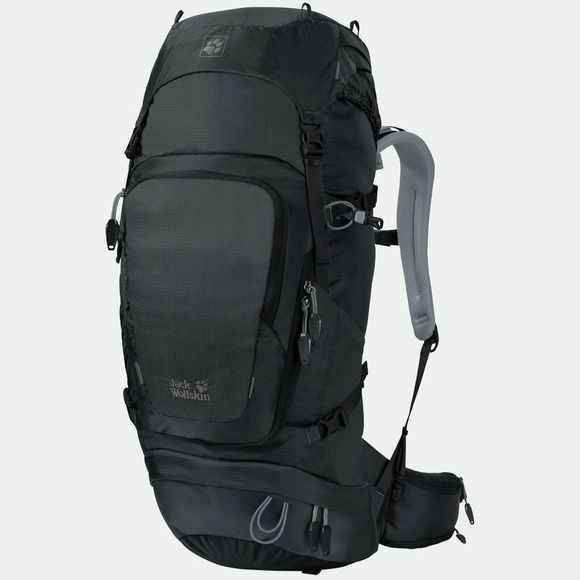 Mile upon mile of uphill and downhill, along steep paths and rocky trails–if you like hiking on challenging terrain, the Womens Orbit 32 Rucksack from Jack Wolfskin is the pack for you. With 32 litres capacity, there is room for everything you need for a day's hiking. 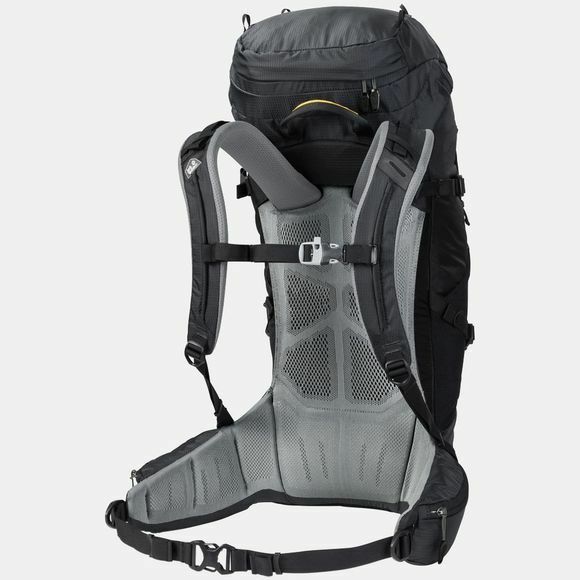 All of the packs in the Orbit series combine comfort and mobility with excellent ventilation. For better load control and carry comfort, the mesh panels of the ACS back system consists of different zones for stabilisation and ventilation. So the pack sits snugly on your back but air can still circulate freely. There's plenty of room for your kit in the large main compartment. You can also stow your water bladder in here. Your fleece jacket can be carried in the base compartment. Stash your map, GPS and energy bars in the waist belt pocket, front pocket or lid compartment to keep them handy.